A full 90 years after a painted ad for his clothing firm appeared high above 151-163 W. 26th St off 7th Avenue, Solomon Blogg is appearing on … a blog. 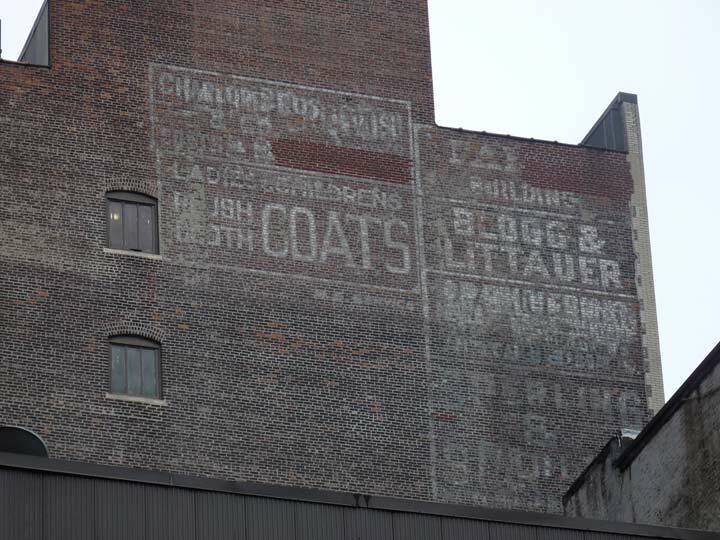 On the left, considerably faded and unreadable except the large-print lowest line, is an ad for Jacob Propos’ Ladies and Children’s Plush Cloth Coats. It’s also hard to read because the print is now intermingled with another ad it was painted on top of (I can’t think of a way to word it grammatically correct). In the art world, it’s called a palimpsest. In the real world, the paint runs together, blurring everything. 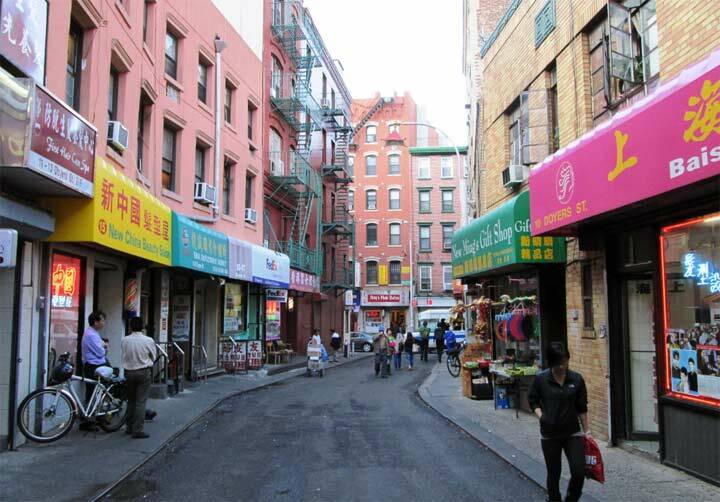 Propos, a Russian immigrant, was on West 26th between 1922 and 1926. On the right are ads for Blogg & Littauer, Sperling & Sperling, and D. Pankin & Sons. Solomon Blogg immigrated from Prussia with his family in 1870 and by 1893 at age 30, he was operating his own clothing manufacturing business, partnering with Paul Littauer in 1891. Littauer died in 1908, but the business was still thriving and Blogg moved into the newly constructed 151-163 West 26th in 1911 (Click for ad in 1919.) Blogg died in 1930, while Littauer’s sons kept the business going till at least 1931. The Indispensable Walter Grutchfield (and he has indeed done yeoman work researching to every last detail the faded ads of Manhattan) has the complete story of the ads and businesses on this building. ……with another ad on top of which it was painted.